Create email campaigns using products directly from ESP Web! To access the email marketing tool, log into ESP Web and click on the Email Marketing tab. This will open the Dashboard of the Email Marketing section. The best first step to take is to decide who will receive your email campaign. This can be accomplished by creating or uploading a list. Click on the Create A List button. 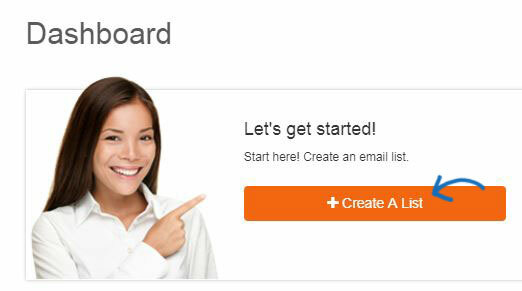 If you have already created a list and are ready to start your email marketing campaign, click on the Get Started link in the Create Campaign area. You can also click on the link below the Quick Start Video to watch a brief overview tutorial on the Email Marketing tool. You can also sign up for a free live webinar with an ASI Technical Product Support representative.